Best Dog Bite Lawyer Denver CO - The Law Office Of Richard J. Banta, P.C. Unfortunately, as even the best dog bite lawyer in Denver, Colorado can attest, many of the dog bite cases they deal with every year involve children. Many children are drawn to dogs and may try to pet ones that aren’t so friendly. As a parent, the idea of your children getting bitten by a dog is terrifying to think about. Luckily, there are steps you can take to help your kids avoid dog bites. When children see a cute and furry dog, the best dog bite lawyer in Denver CO knows it can be tempting for them to go up and try to pet it. However, this can cause them to get hurt. Teach your children to never go up to a dog they don’t know, no matter how friendly it seems. Tell them that dogs can get frightened around people they don’t know and bite. It’s better to be safe than sorry. If a dog does approach your children, you should teach them to stay as calm as possible. If they scream or run off, it can make the dog nervous and aggressive. If the dog pushes your child down, they should roll into a ball and remain still until the dog leaves. If your children sees a dog with its owner, teach them to always ask the person permission to pet the dog. They should never run up and pet a dog without asking. If the owner says no, tell your children to listen to them and not feel bad about it. Sometimes children tease dogs by taking away their toy or pulling their tail. They may just be playing and think it’s harmless behavior, but it’s actually bothersome to the dog. 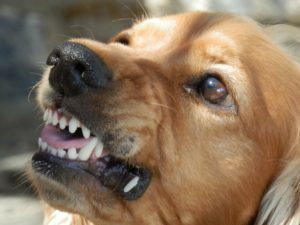 A dog may become angry when it’s being teased any bite. Tell your children to never tease a dog under any circumstances. The best dog bite lawyer in Denver CO knows that many children think that teasing is playing and often end up with serious injury when the dog lashes out. When a dog is resting, it wants to be left alone. If people sneak up on it and try to pet it, the dog may get startled and bite. That’s why you should tell your children to leave dogs alone while they’re sleeping. It’s important to teach your children how to identify strange behavior in dogs. If a dog is growling, sticks its tail straight up or the fur on its back is sticking up, it may be aggressive. Teach your children to notify a nearby adult as soon as possible. If your child was recently bitten by a dog, you may be entitled to compensation. It’s important to schedule a consultation with the best dog bite lawyer Denver CO parents trust. Contact the Law Office of Richard J. Banta, P.C. soon to discuss your case in detail. We offer free initial consultations and can offer you sound legal advice. What Should You Do If You or Your Child Is Bitten? If you were bitten by another person’s dog, you may want to consult with the best dog bite lawyer Denver CO residents trust. Richard J. Banta, P.C. has helped many dog bite victims receive justice for their injuries. 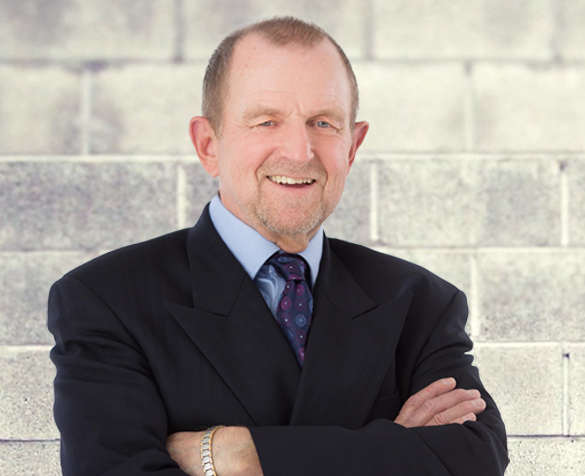 With a lawyer like him on your side, you may have a peace of mind about your situation. Obtain the Dog Owner’s Contact Information: The first thing the best dog bite lawyer in Denver CO would advise to do is ask for the owner’s full name address, and phone number. This person may be held liable for the damages, and it’s important to have his or her contact information with you. Take Photos of the Wounds: Be sure to take clear photos of your wounds as soon as possible. These photos may prove to the court that your injuries actually did occur. Talk to Witnesses: Did anyone else see you get bitten by a dog? If so, don’t hesitate to obtain their contact information. Your best dog bite lawyer Denver CO clients respect may ask them to testify on your behalf in court. Get Medical Attention: It is important to see a doctor about your dog bite injury as soon as possible. Dog bites can lead to infections and other complications if they aren’t treated promptly, as the best dog bite lawyer Denver CO residents rely on can attest. Also, if you do not get medical attention right away, insurance adjusters might believe you are truly hurt and try to deny your claim. Follow Your Doctor’s Advice: After a doctor examines your dog bite injury, he or she will determine the best possible treatment option. Whether your doctor recommends surgery or antibiotics, you should follow his or her instructions. If you do not follow through with your doctor’s medical advice, you can risk your health and chances of winning compensation for your injuries. Hire a Lawyer: If you want to pursue compensation for a dog bite injury, it may be in your best interest to work with the best Denver dog bite lawyer. Navigating through a dog bite injury case can be quite complex, and you want someone with knowledge and experience on your side. The best dog bite lawyer Denver CO locals depend on may help you gather important evidence and talk to insurance companies on your behalf. Your lawyer may ensure your rights are protected and give you sound legal advice along the way. Do not wait to obtain legal counsel. You deserve justice for your injuries. If you are looking for the best dog bite lawyer Denver CO offers, you may want to contact Richard J. Banta, P.C. today.